[Free Pattern] This Cactus Flower Granny Square Is Fabulous And So Chrismassy Too! This very easy and quick crochet baby blanket that can be made -so easily- using left over yarn, is- most certainly- going to be the new standard baby gift for many crocheters. Granny Blanket by Marianne Forrestal is a simple granny square blanket, in which the colors are distributed in a very pleasing arrangement. Designed in three colors, the pattern can be easily changed to your liking, so you can use whatever yarn you want and change colors as you feel like it. The pattern is beautiful as designed or if you want something different a simple or more sophisticated border can be added. [Free Pattern] The Never Fading Flower Pattern And How It Became Someone’s Olympic Goal. The Progress On The Blanket Is Impressive! 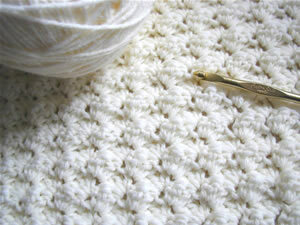 [Photo Tutorial] This Stitch Is So Easy You Can Do It In Your Sleep!